The graphic below illustrates the five planets as they are visible, with the naked eye, from Huntsville, Alabama. It shows their positions in the sky around 6:30 AM during the week of January 18 and continuing for the next few days. Mercury will be close to the Sun, over in the East, and Jupiter will be over in the West, with Venus, Saturn, and Mars between the two. 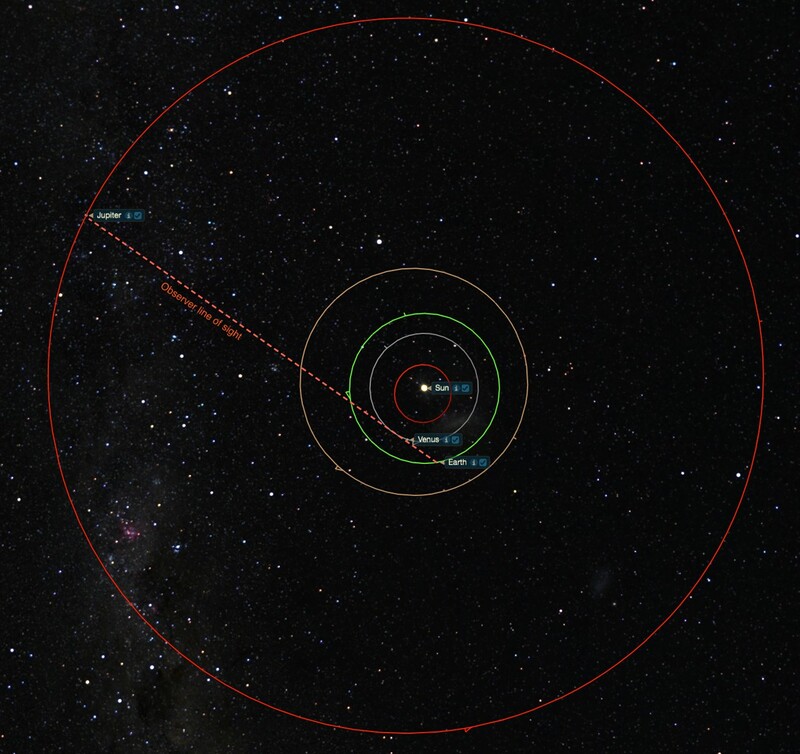 Pluto is near Mercury, but is invisible to the eye, requiring a telescope for viewing. The last time an alignment such as this occurred was about 10 years ago. This pre-sunrise configuration will be similar for other northern latitudes. 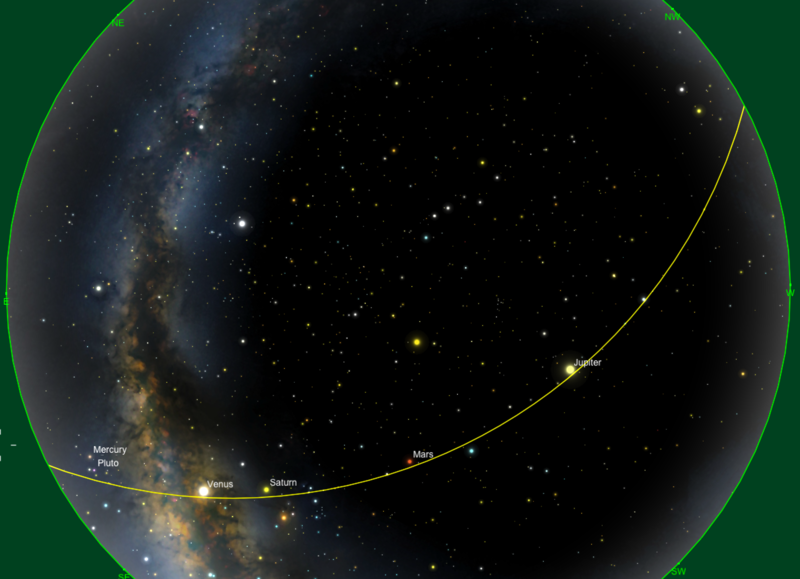 In the graphic, the yellow line is the ecliptic, which is the plane of the Earth’s orbit. The orbits of the major planets lie close to this plane, which is why they appear close to the ecliptic in the night sky. Image generated by Bill Cooke using SkySafari Pro software.